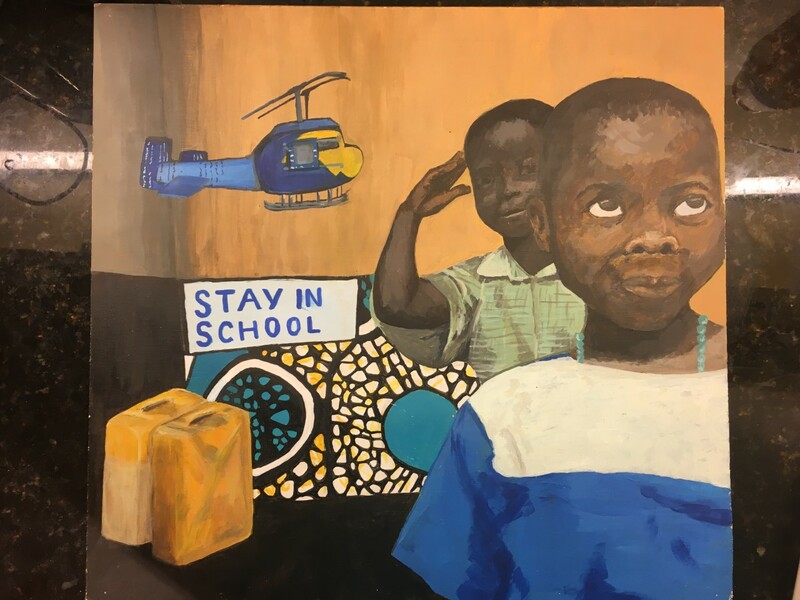 Student Lydia Hunt was so inspired by her visit to Uganda that she chose to depict a scene from her trip in her GCSE art exam. She went on to raise further funds for WATSAN – and gained an A* in her exam. 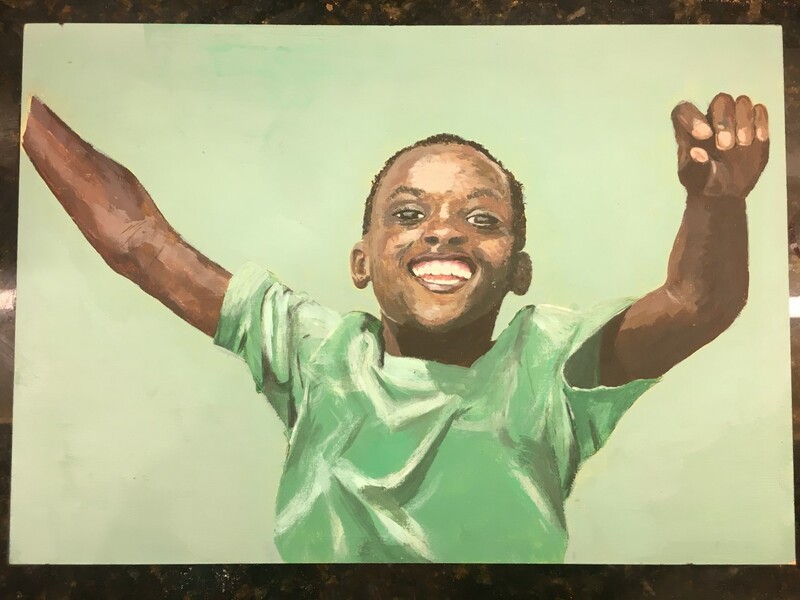 Lydia, who visited the WATSAN project in Uganda with the group from St Peter’s Church in Bishops Waltham in August 2017, painted a little boy whom she met at one of the Child Development Centres, where WATSAN has recently improved the water supply and sanitation. She included it in her GCSE art portfolio and was awarded an A*. Along with other students from her house at school, she mounted an art exhibition in March 2018, to which parents and staff were invited. At the exhibition, £235 was raised for WATSAN, and Lydia’s cousins Luke (11), Danny (8) and Chloe (6), together with two friends, also raised £50 for WATSAN by washing neighbours’ cars and making and selling cupcakes in the school holidays.